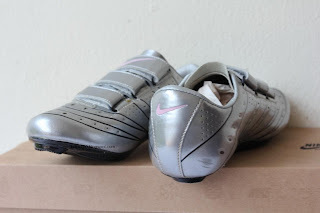 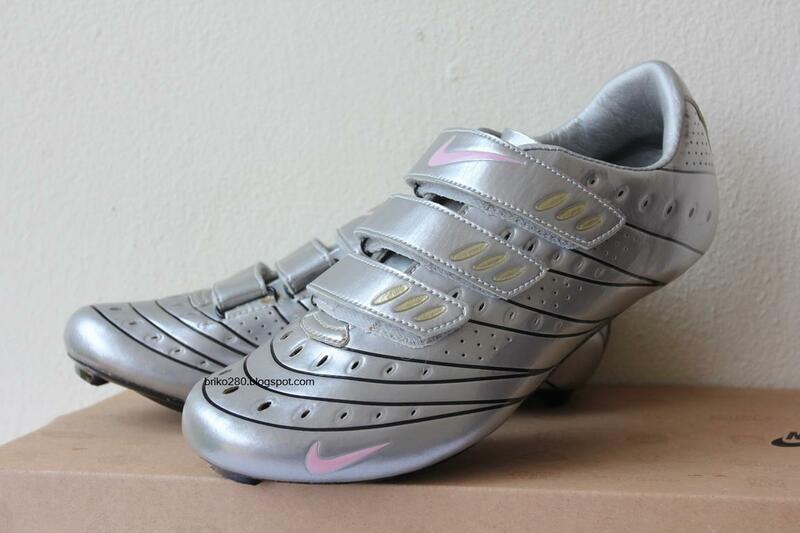 Lightly used Nike PoggioIV UL (Ultra Light) road shoe in size 38.. 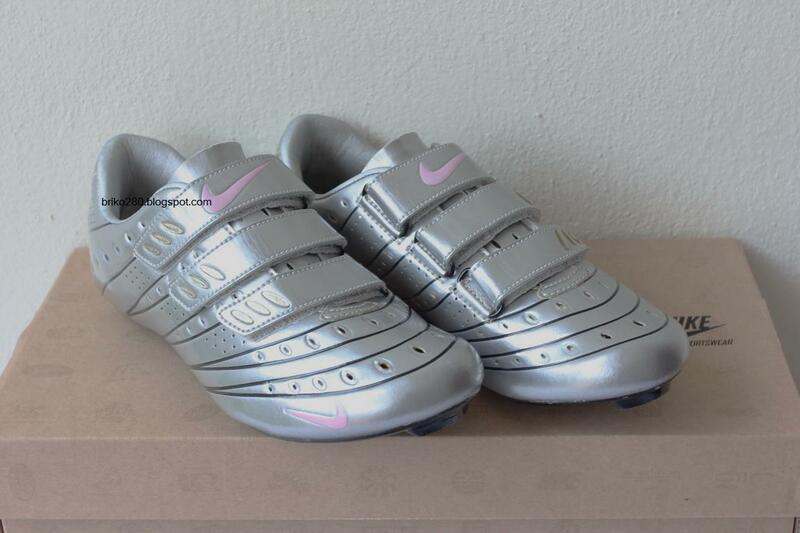 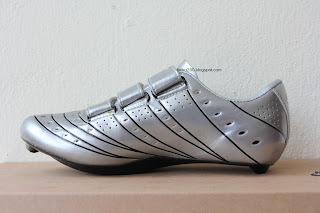 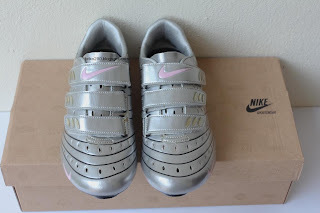 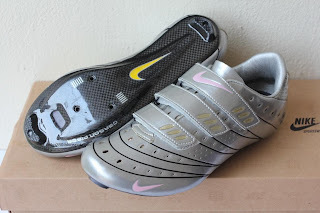 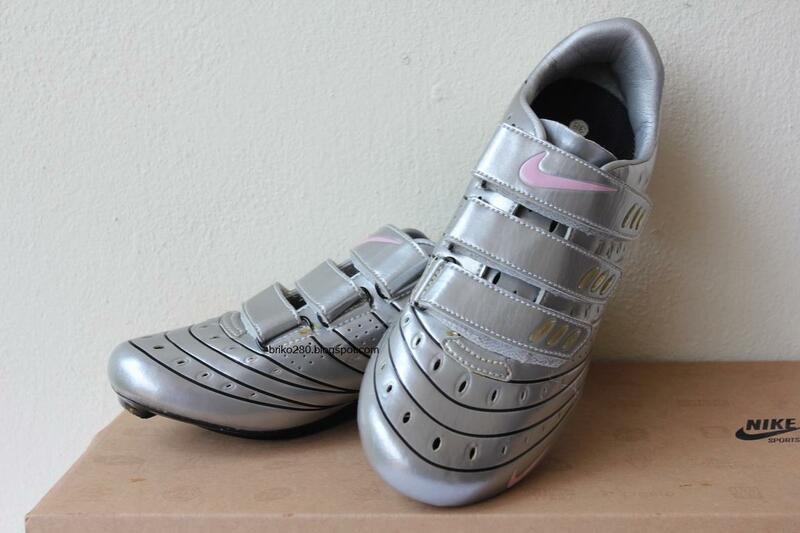 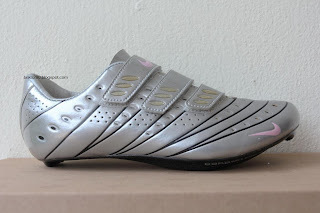 The redesigned Nike Poggio 4 UL cycling shoe is the lightest shoe on the market. It was originally developed specifically for Lance Armstrong's epic 2004 Alpe d'Huez ride. 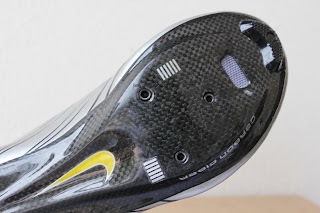 Nike Skin upper materials combine the light weight of KNG100 with Technora aramid fiber for unequaled support and strength in a lightweight material. V-spine outsole has been built with increased toespring for ergonomics, an optimized stiffness-to-weight ratio for power transfer, and a new venting system for comfort. Sleek, lightweight VELCRO#174 brand fastener closure for improved strength. 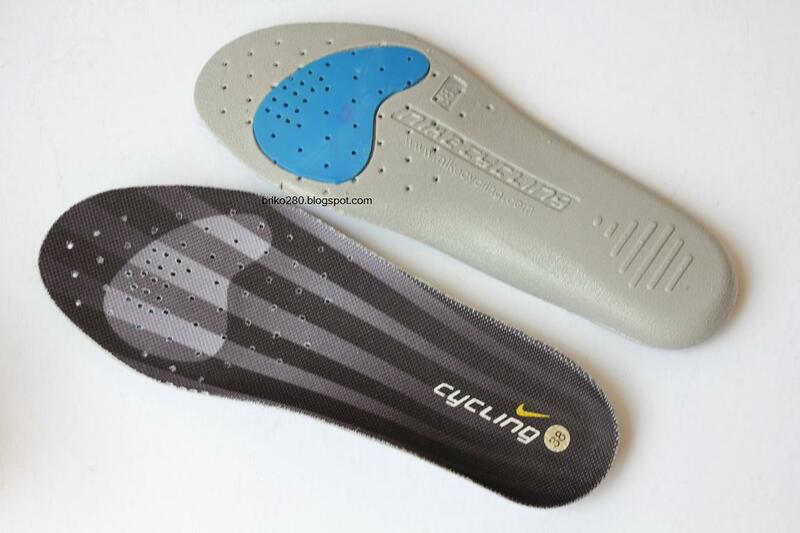 Dual density PE insole with increased arch support, a cupped heel, a Poron HD foam forefoot pad to absorb vibration, and perforated for breathability. Three-hole (SPD-SL, Look) cleat compatible.